Now teens don't have to worry about embarrassing metal braces in their yearbook photos or Facebook profiles – introducing Invisalign Teen! 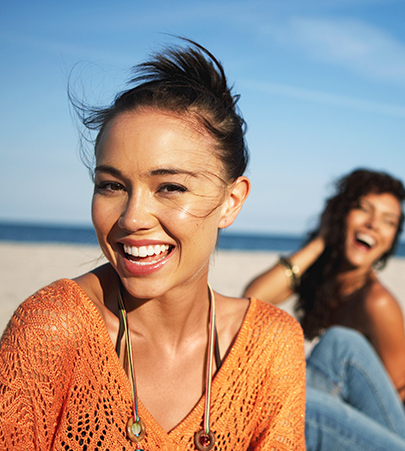 Invisalign Teen is the clear way to straighten teeth without metal braces, using aligners. Aligners are removable and virtually invisible, which means you can straighten your teeth without anyone knowing. You can still eat and drink what you want. Also, you can brush and floss normally to maintain healthy gums and teeth, and there are no wires, metal or brackets to cause mouth abrasions. The Invisalign Teen Guarantee is a win-win for parents and teens. Teens get the teeth straightening option they really want – without metal mouth and all hassle and compromise that comes with it. And parents have the added confidence that their teen will achieve the straight teeth and healthy smile they both want, even if they decide Invisalign Teen isn't right for them.